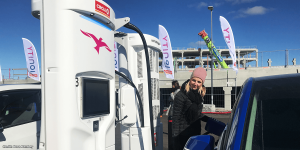 The number of plug-in electric vehicles worldwide rose to 5.6 million worldwide at the beginning of 2019, which includes passenger cars and light commercial vehicles with battery-electric drive, range extender and plug-in hybrids. This is an increase of 64 per cent YOY. According to the latest ZSW statistics shown below, China and the USA continue to be the primary market drivers. This is particularly evident in the numbers of vehicles registered. 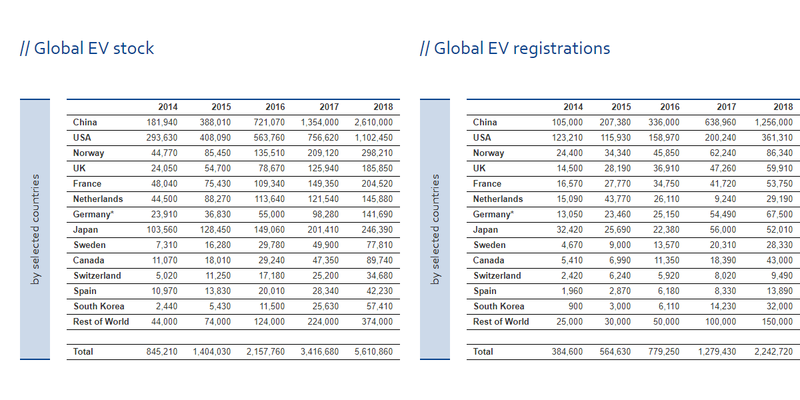 China alone accounts for 2.6 million electric cars, almost twice as many as last year (1.35 million) and nearly half of the electric vehicles registered worldwide. 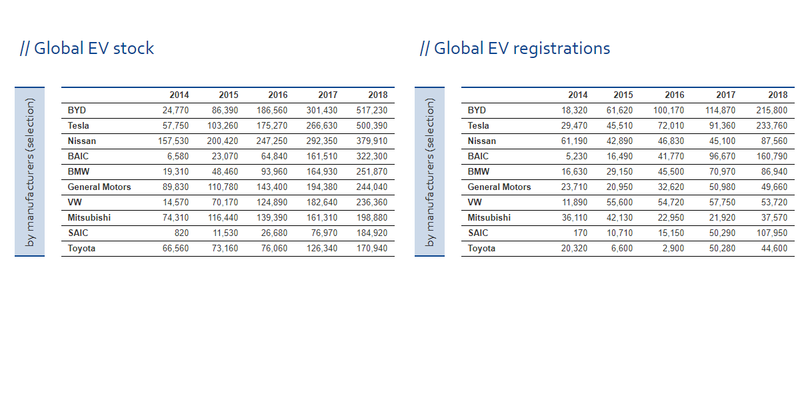 In the USA, the figure has climbed from 757,000 last year to 1.1 million electric vehicles. 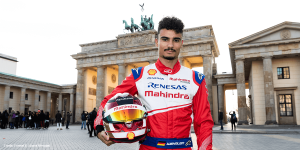 Traditionally strong Norway follows in second place with 298,210 registrations before Japan (246,390), France (204,520), Great Britain (185,850), the Netherlands (145,880), Germany (141,690), Canada (89,740), Sweden (77,810), South Korea (57,410), Spain (42,230) and Switzerland (34,680). It should, of course, be mentioned that this ranking does not include population size, but only the total number of vehicles. The ZSW also filters its statistics according to new registrations of the past year in the twelve most important markets. For the rest of the world, in which electric vehicles still play hardly any role, ZSW uses an estimation. 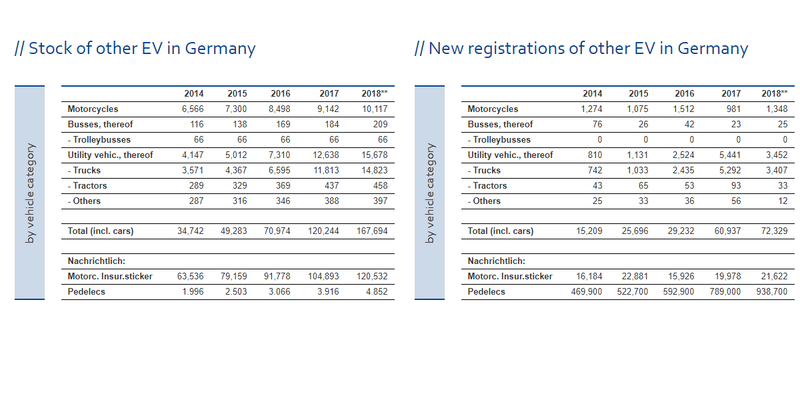 According to this estimate, 2.24 million new passenger cars with charging connections were registered worldwide in 2018, almost twice as much as in 2017 with only 1.2 million registrations. 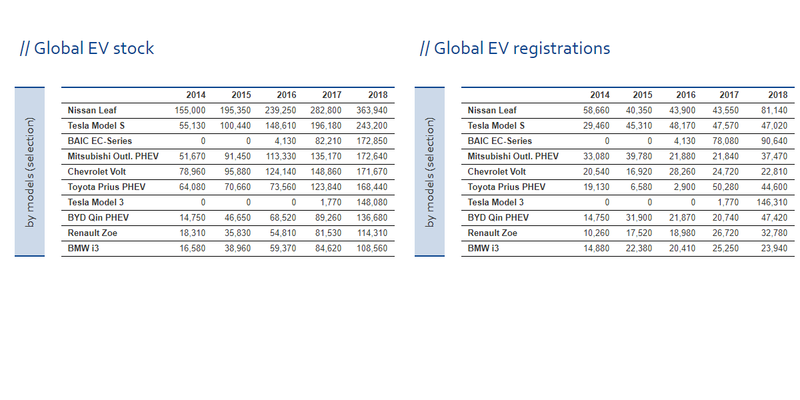 A comparison by country shows a similar picture at the top as with the stock figures: China and the USA lead statistics with 1.25 million (2017: 579,000) and 361,310 (2017: 195,140) new registrations respectively. Norway (86,340), Germany (67,500) and Great Britain (59,910) follow. In total, all twelve countries listed by the ZSW recorded more new registrations in 2018 than in 2017, except for Japan, where 52,010 new listings compared to 56,000 in the previous year. The effects of an unstable subsidy policy can also be seen from the curve in the Netherlands: After the country experienced a downright crash from 43,770 new registrations in 2015 to 26,110 in 2016 and a meagre 9,240 in 2017 due to modified funding guidelines, 29,190 new registrations were recorded again last year. 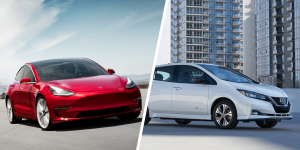 As far as the world’s best-selling brands of electric cars are concerned, BYD and Tesla passed Nissan in 2018, and this given more than 200,000 new BYD and Tesla registrations each last year. The stock now amounts to 517,230 electrified BYD and 500,390 Tesla vehicles compared with 379,910 Nissan cars with plugs. 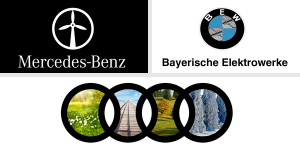 German carmakers BMW (251,870) and VW (236,360) do not even come close. As far as new registrations in 2018 are concerned, two Chinese manufacturers stand out from the crowd, each breaking the 100,000 mark: BAIC sold 160,790 (2017: 96,670) e-cars, SAIC 107,950 (2017: 50,290). But the statistics also show losers: Toyota’s figure fell slightly to 44,600 after an enormous leap from 2,900 to 50,280 new registrations in 2017. 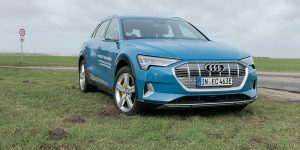 New listings are also slightly down at VW and General Motors: 53,720 in 2018 compared to 57,750 in Wolfsburg last year and 49,660 compared to 50,980 in Detroit. The Nissan Leaf and the Tesla Model S are still the most driven electric cars in the world. Their stock amounts to 363,940 and 243,200 vehicles respectively. While the Model S had narrowly outstripped the Nissan Leaf in terms of new registrations in 2017, the Japanese have moved the ratio straight again after the launch of the new Leaf. For 2018, there were 81,140 newly registered Leaf cars versus only 47,020 new Model S cars. Admittedly, another Tesla actor has overtaken them all: In 2018, Model 3 recorded sales of 146,310 vehicles – a record. 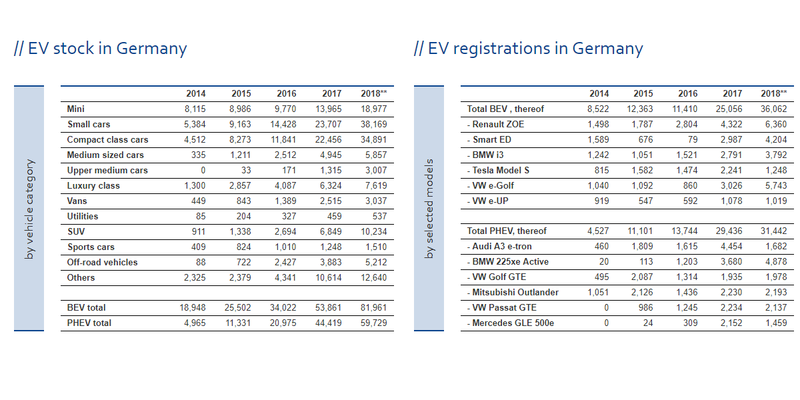 If we look at the electrive home base, Germany, in isolation, we can see that the growth momentum is comparatively low, as only around 13,000 more vehicles were registered in 2018 than in 2017 (compared with 2016, there were about 29,300 more in 2017). The Renault Zoe remains the most popular all-electric car, followed by the VW e-Golf and the Smart EQ. Among the 2017 newly registered plug-in hybrids, the BMW 225xe Active Tourer stands out ahead of the Mitsubishi Outlander PHEV and the VW Passat GTE. 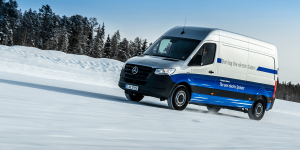 As far as e-commercial vehicles are concerned, there is still only a little happening on German soil thanks to growing new registrations of e-commercial trucks: The number of e-trucks has increased from 7,310 in 2016 to 12,638 in 2017 and now to 15,678. With 25 new listings to 209 units on German roads, the electric bus market is still miles away from such a development. Great news, hopefully all brands will sale well in 2019 and we can start putting gasoline vehicles to rest for good.